When Sybella accompanies the duchess to France, she expects trouble, but she isn’t expecting a deadly trap. Surrounded by enemies both known and unknown, Sybella searches for the undercover assassins from the convent of St. Mortain who were placed in the French court years ago. Genevieve has been undercover for so many years, she no longer knows who she is or for what she’s supposed to be fighting. When she discovers a hidden prisoner who may be of importance, she takes matters into her own hands. When the Last Days came, the planet of Laterre promised hope, a new life for a wealthy French family and their descendants. But 500 years later, it’s now a place where an extravagant elite class reigns supreme; where the clouds hide the stars and the poor starve in the streets; where a rebel group, long thought dead, is resurfacing. Whispers of revolution have begun - a revolution that hinges on three unlikely heroes. In an all-too-plausible future where corporate conglomerates have left the world’s governments in shambles, anyone with means has left the polluted Earth for the promise of a better life on a SpaceTech-owned colony among the stars. Maité Martinez is the daughter of an Earther Latina and a powerful Aunare man, an alien race that SpaceTech sees as a threat to their dominion. When tensions turn violent, Maité finds herself trapped on Earth and forced into hiding. 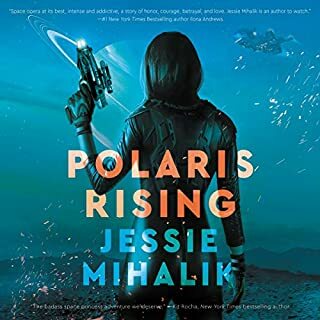 The Solaris Empire is one conquest away from uniting the continent, and the rare elemental magic sleeping in 17-year-old library apprentice Vhalla Yarl could shift the tides of war. Vhalla has always been taught to fear the Tower of Sorcerers, a mysterious magic society, and has been happy in her quiet world of books. 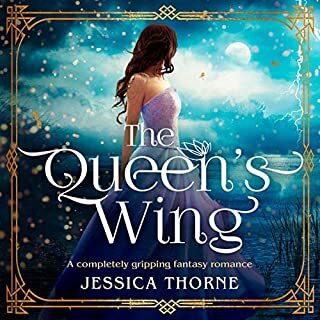 But after she unknowingly saves the life of one of the most powerful sorcerers of them all - the Crown Prince Aldrik - she finds herself enticed into his world. Absolutely incredible, a haunting magical world I can't wait to see more of. Afflicted by a centuries-old curse, a warlord slowly surrenders his humanity and descends toward madness. Ballard of Ketach Tor holds no hope of escaping his fate until his son returns home one day, accompanied by a woman of incomparable beauty. His family believes her arrival may herald Ballard’s salvation...until they confront her elder sister. “The answer is no, Lyra”, my mother utters her favorite - I swear - phrase. No means I have to travel with them to another planet - again. No means leaving all my friends 50 years in the past. Thanks, Einstein. Seventeen-year-old Lyra Daniels can’t truly blame Einstein or her parents for their impending move across the Milky Way Galaxy. It’s all due to the invention of the Q-net, which made traveling the vast distances in space possible - with one big caveat: the time dilation. But that never stopped Lyra's ancestors from exploring the Milky Way, searching for resources and exoplanets to colonize. What they didn’t expect to find is life-sized terracotta warriors buried on 21 different exoplanets...Make that 22. As the Galaxy’s leading experts on the warriors, Lyra's parents are thrilled by the new discovery, sending them - and her - 50 years into the future. Her social life in ruins, she fills her lonely days by illegally worming into the Q-net. The only person close to her age is the annoyingly irresistible security officer who threatens to throw her into the brig. After the planet they just left goes silent - meaning no communications from them at all - security has bigger problems to deal with than Lyra, especially when vital data files go missing. But that's just the beginning, because they’re not as alone as they thought on their new planet...and suddenly time isn't the only thing working against them. Gabra Zackman is one of the BEST narrators I’ve ever heard. I generally use audiobooks to fall asleep at night, and I always pick readings of stories that I love. Zackman does a PHENOMENAL job of bringing the characters to life! I’ve been listening to her readings for years and I adore her! She truly does bring the characters to life. I thoroughly enjoyed Gabra Zackman’s stellar narration. Her voices are smooth and natural and effortlessly distinguishable. Looking forward to the next in the series. If you like good YA/Sci-fi you will love this. I picked up this book solely on the strength of a review written by a Goodreads friend, well that, and the blurb was very enticing... and I loved it! There's so many good things about this story that I don't even know where to begin! While aboard the Star Ship, I found something else that added to my pleasure, the Captain, her crew, and that great big star viewing window! It all had a Nathan Lowell kinda vibe, and Nathan is easily one of my top 5 author's of recent years. Plus all the while, Lyra, in the interest of not being bored out of her gourd, kept everyone on their toes. The crew was even taking bets on whether or not she'd end up in detention (ship-speak for the non-adult brig)... Lyra has this great relationship with her parents, and they even knew when they had blown it, and apologized to her in order to make things right... Lyra is indomitable, and she won't be ignored, or constrained... Plus there's something vital that only she can do (ya' gotta get the book to find out what 😁)! So if you like space flight, that's maybe even a little reminiscent of Nathan Lowell's style, along with coming-of-age stories, sprinkled with ruthless, grave robbers, deadly aliens, and a centuries old ancient puzzle, you'll want to grab the book. Oh, and you're welcome... In advance! 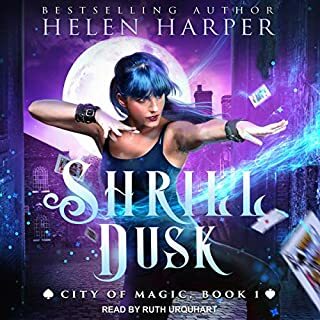 I love audiobooks... but I admit my low attention span makes it hard to stay focused on books read by certain narrators. Nothing wrong with what they do, I just find myself daydreaming and have to rewind the last few minutes, regardless of what is being reading. It’s takes a special kind of narrator to keep me engaged. It is because of her that I came across this book. 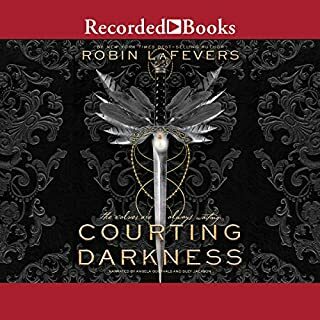 I’m not usually a fan of fantasy, but I got hooked on this one just from the sample offered by Audible. She really made Lyra come to life, almost as if she were standing next to me, sharing her incredible adventures. I was also surprised by how different she sounded with each character, to the point I wondered if other actors were involved. Sufficed to say I am now looking forward to the next one in this series. Cannot Wait for the Next Installment! This book was amazing to listen to with my eleven-year-old niece and nephew. All of us are ready for the next one. I could listen to this narrator every day. It was an absolute pleasure to listen to in every way. Such exciting adventures with Lyra!! Sometimes I use my nieces and nephews as beards for my deep enjoyment of young adult. But honestly, this is a series I will happily listen to with or without them. It's really fantastic! HUGELY RECOMMEND!! 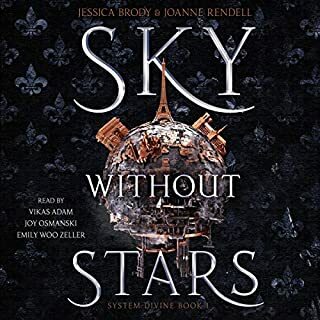 This is an early review as I'm still listening but felt compelled to write...if you're looking to delve into the universe in the future, with a rich cast of characters, a precocious protagonist and fast paced action and dialogue, this is a terrific listen. Kudos to the narrator for bringing it all to life! I'm new to Maria Snyder's writing, but grateful to have had her and this title suggested. I look forward to finishing Navigating the Stars and listening to the next book in the series!! SciFi, mystery, romance...what’s not to love? The real treat is Gabra Zackman as narrator. She always elevates the listen and knocks it out of the park, er, galaxy once again. Loved this first book in a new series! Really enjoyed this, and I can't wait to listen to the next book! Do we really have to wait a year for the next entry?!? Great First Book in a New Series! As per usual, Maria V. Snyder has created fantastic characters and a gripping story in a very unique world. Gabra Zackman’s narration is nuanced and smart (as well as just a joy to listen to). I am a huge fan of the smart, brave, young female protagonist and will be recommending to my contemporaries as well as my teenage nieces and nephews. I can’t wait for the next books as this series unfolds! 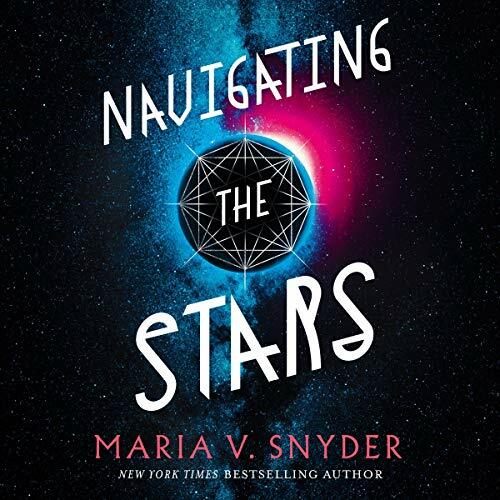 I have always enjoyed Maria V. Snyder’s stories, and I always look forward to the next book! Gabra Zackman is a perfect partner who brings Maria’s stories to life ... Thank you for another enjoyable adventure that I wanted to keep listening to the very end!